A new antibiotic developed in Australia, Ramizol®, the first in an entirely new class of antibiotics, has been shown to be effective against 100 different samples of Clostridium difficile - often the cause of drug-resistant infections picked up by patients while in hospital. The new drug was shown to be effective even against C. difficile which has developed resistant to other currently-available antibiotics. A scientific paper published in the journal, Diagnostic Microbiology and Infectious Disease, has shown Ramizol®, a first-in-class stilbene-based investigational antibiotic for the treatment of CDI is effective against 100 clinical isolates of C. difficile. The paper, entitled 'Comparison of the in vitro Antibacterial Activity of Ramizol, Fidaxomicin, Vancomycin and Metronidazole Against 100 Clinical Isolates of Clostridium difficile by Broth Microdilution', has shown resistance emergence against vancomycin and metronidazole. The results have shown that vancomycin-resistant isolates are more than 250 times less susceptible (MIC > 8 μg/mL) to fidaxomicin compared to fidaxomin-sensitive strains (MIC90 = 0.03 μg/mL). 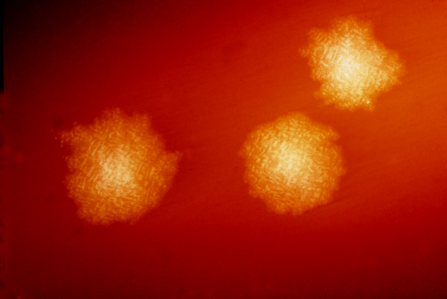 Chief Executive Officer of Boulos & Cooper Pharmaceuticals, Dr Ramiz Boulos, said "C. difficile strains showing resistance to both vancomycin and fidaxomicin is an unexpected finding, given these two antibiotics have different mechanisms of action". Dr Boulos said. "The emergence of resistance against the only three antibiotics currently used for treating CDI is alarming, highlighting the need for novel, safe and effective antibiotics". He continued "We believe Ramizol has the potential to be the standard of care for treating CDI and has the potential to be a blockbuster drug".